Stonehaven FC are preparing for the new season with a host of friendly games including a local tournament. behind held this weekend. Hive will kick of their 2015/2016 preparations with a game tonight (Thursday) at Glenury when they welcome Premier Division Amateur side MS United. Kick off is at 7.30pm. 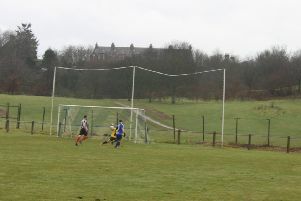 On Saturday and Sunday Stonehaven’s Glenury Park will also host a local tournament consisting of teams from the local area and from a broad range of divisions and leagues. Last year Stonehaven won the tournament when they recorded a 4-0 win over Johnshaven Athletic in the final of the tourament. On Saturday Hive kick off the tournament against Parkvale with kick off at 12pm which will be followed by a 3pm kick off which will see Cowie Thistle v Stonehaven Youth under 19’s. Sunday’s game are the same time with the third/fourth place game at 12pm with the final at 3pm. Stonehaven FC posted on Facebook: “Both days will see an admission fee of £5, this covers both games taking place on the day, which will go to the Maxillofacial Unit at Aberdeen Royal Infirmary. “Our final friendly is at home to McBookie.com First Division East side East End on Tuesday 28, 7:30pm kick off.